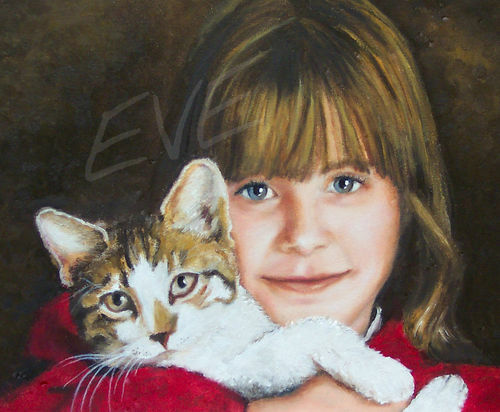 Eve Lees specializes in oil paintings of people, animals, and houses. 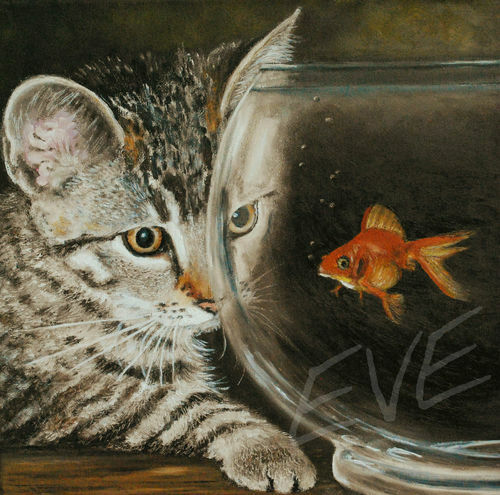 A self-taught artist, Eve began drawing as a child and painting as a teenager. She has been painting for over 40 years and has completed many portrait commissions. 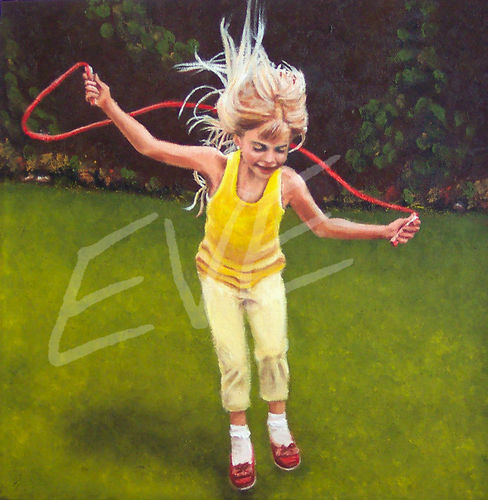 Eve can paint from photographs and can therefore accommodate long-distance portrait requests. PLEASE NOTE: Painting portraits is a hobby for Eve, and NOT her full time career. Therefore, due to her priorities and deadlines as a Nutritionist and Health Writer/Speaker, it may take time for Eve to complete your painting. In addition, it takes time for an oil painting to dry. Please keep this in mind when you contact Eve. To view more of Eve's artwork and to see her portrait rates visit her website (the link is at the bottom of this page). 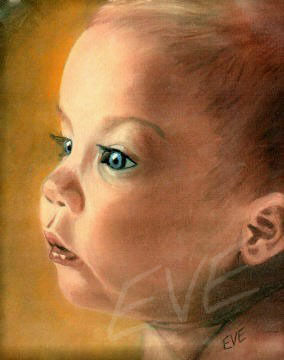 Shown at right: "Baby Brooke" oil painting. 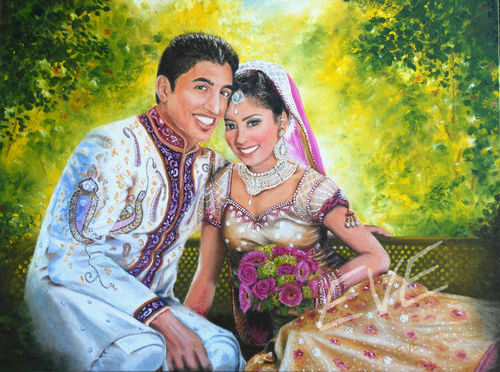 "Deesha and Paul" oil painting.